Car-powered soccer makes for one, big happy family. How will you be able to tell if the team you’re playing against is on another system? Will there be any indications? Yeah same as always. No avatars. Yeah, it’s functionality first there. In the interest of keeping it straightforward, we just tell you if you’re playing against someone on your home platform or on another one. It doesn’t specifically call out which platforms the other players are on. *Patiently waits for cross-platform party system* Thank you for making it possible! Doesn’t bother me whether or not games get crossplay. But it’s never a bad thing if it does have it. So good job, especially with how hard I know your team has been working at making it a reality! 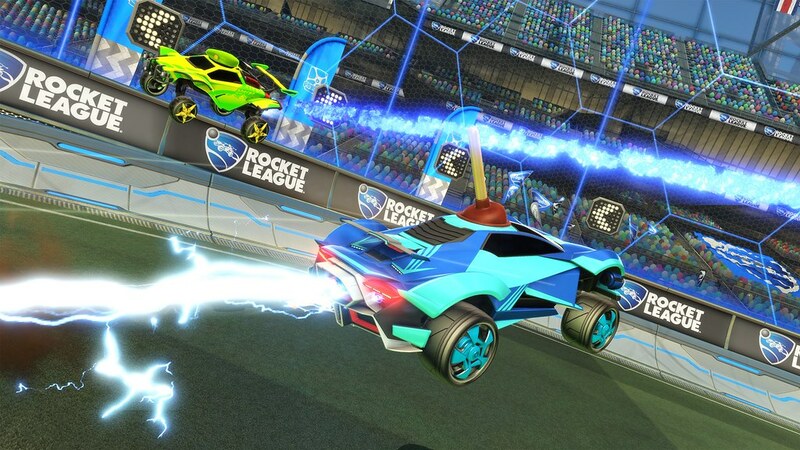 Thank you Psyonix (for continuing to champion cross-platform play) and Sony (for getting on board with it)! It’s the future of gaming and I love that I can now play against friends who are on other platforms, while still getting all my crates on my main PS4 account! True. Congrats to Psyonix for thinking ahead when they desinged their game and to Sony for championing cross play since the days of PS3. Good thing that XBOX finally got on board and made a big issue out of it now (roughly a decade later) so that everyone else remaining (Nintendo) got on board. Great!!!!! Now can we get Battlefield 4 or even 5 to have cross-platform? great idea…never a dull moment. I’d really like to be able to combine my PS4 Warframe account and my PC Warframe account, though that’s probably asking for too much. Cool, but could not care less. You could have cared less enough to not even click the link. I am so happy that this happening. I had a dream, that one day, all 3rd party multiplayer games will have crossplay. Let Your exclusives shine Sony! 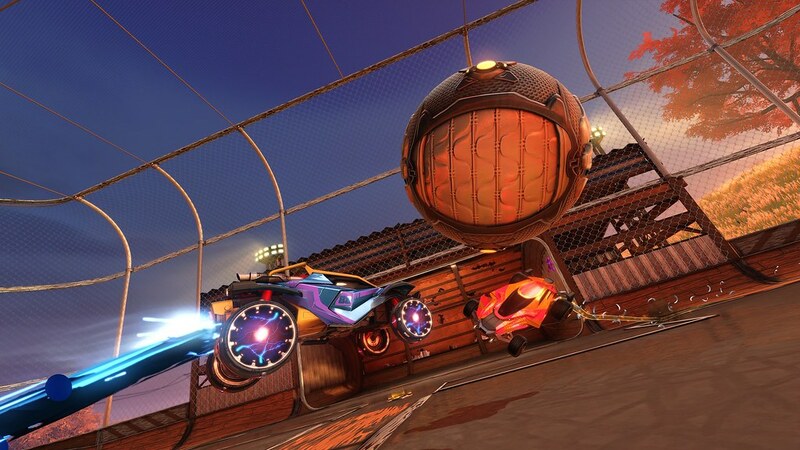 Also, I hope the rocket league team sets up some PlayStation vs Xbox rocket league events. Make rewards for the teams that play the best. I like the idea. I’d also look into smaller in game events that dont necessarily have to be tournaments. For example, you could make a stadium that changes themes and form to match the platform that the console players are playing on. So if it was PlayStation vs Switch. One half of the stadium would be PlayStation colors (blue, black, pink , purple, etc…) and the other half would be red and white themed. Xbox could be included in green, and maybe PC players could be orange? what about mic party? like fornite, if you have mics on and are in cross party, you automatically start chatting with each other. I know rocket league doesn’t have that feature during current parties but is this an option at some point? in game voice chat? We don’t support cross-platform mics, no. That’s by design, though. It’s one of our precautions we take to keep the experience as clean as we possible given that we are an E for Everyone game. Why not in private matches? I too, would like to know if cross-platform mics are possible between party members, when the cross-platform party feature rolls out in the future update. I get not allowing cross-platform mic for matchmaking (random) teammates and opponents, but when you specifically want to play with someone, it’d be nice to have. The real question is this: Can I use my Sweet Tooth truck to demolish a Warthog? Or are system-specific vehicles turned off in cross-play? Because of the many rules and agreements related to the platform-specific IP cars, they remain visible only on their home platforms.On other platforms, they will be seen as a different vehicle that shares the same hit box. That could change one day, depending on the partner, but as of now, that’s how we have it set up. Jeremy, that’s a real shame. But at least we got this far! Keep up the great work. Was this an important key in getting ID off the ground in 2019? Does this bode well to having news on ID soon? It’s nice that everyone will now be able to join all of their friends for a game of Rocket League. Looking much forward to that addition. Just out of curiosity, have you ever thought about making a maybe 2v2 tennis mode? I think it could be fun to see how people would tackle the challenge and form different formations to gain the best advantage. So we can trade with PC players now? Any plans to add Playstation crossplay to Rockstar Games titles such as GTA V and Red Dead Redeption 2? Those games would benefit so much from players of different consoles all being able to play together. It has (or at least very shortly after launch) it has not had cross-play with Xbox One or Nintendo Switch yet though. Muito bom poder contar com a flexibilização da Sony frente a novos recursos que a rede online nos proporciona. Garanto que os players irão gostar e a que a Sony será ainda maior. Quando mais vocês avançam, mais gente se juntará ao time. PS Forever. How gonna we add friend from steam pc player to playstation player? Why? I could see cross save but cross play , ehhhh…… I rather not play a match with xx420pu22ysm4sherxx. Sony = Because they’re tired of all the bad rep, It’s not good for business to be called “the company that hate gamers”. So by giving Xplay for certain games they receive some good PR and they can rest, to focus on other (more important) things. Psyonix = Because they want more money. Plain & simple. You can’t blame them though, they’re a company not a NPO. you can always turn cross-play off if you don’t want to be matchmade across other platforms. loud whiny minorities that are less then a percent of a percent are gamers now? they are far from being called “the company that hates gamers”. that crown always belonged to microsoft and it seems nintendo is making headway for it. I hope we will be able to manually disable cross play. Why, Sony, why!?? You didn’t have to crack under pressure. You’re #1 all on your own. You don’t need to give handouts to the losers. What happened with all the “we protect our ecosystem” BS? Yeah, right. If you keep this up you’re going TO KILL every crossplatform MP game available. For PS ofc. The other platforms (and the companies behind the games) are going to be thrilled anyway. PLEASE STOP. Do NOT make this a regular thing. Or at least FORCE Devs to make it that we can DISABLE the whole thing if we want to. I can accept Xplay for CERTAIN games (the non-competitive ones), but allowing the hackfest platforms into the PS ecosystem IS WRONG. You’re ******* us, the people that chose PS because it’s a (mostly) “clean environment”. Now you’re opening this clean house to the filth that it’s out there. And that’s totally unacceptable. PS: Nothing personal Psyonix. This is ofc great news for you, since now all those players unwilling to pay for your game on the other platforms will happily pay for it. Kudos to you. And THANK YOU for giving us a way to DISABLE this. But…you’re here celebrating…and I felt the need to share my opinion on this tricky subject. Cross play is great for Xbox gamers who were relegated to their little swamp of deplorables but terrible for PlayStation gamers who now have to co-mingle with these Doritos munching Mountain Dew swilling Halo loving children screaming profanity into their ears. Mic via cross-platform will not be possible, via a comment from Psyonix. Besides, you can always turn cross-platform play off. Pretty sure you can already could do that with the PS4/PC cross-play that existed. As long as it’s always optional I’m cool with it but I think developers also need to understand that a lot of PlayStation users left the Xbox platform behind due to the toxicity of that community and don’t want to interact with it. I get the arguments for cross play but if playing with your friend on another system means he’s bringing his entire drunken frat with him then there’s going to be problems. To be honest Dr_Awesome, I wouldn’t be surprised if the ability to opt-out isn’t one of the mandates Sony sets for enabling cross-platform play. Fortnite is the same way, you can completely opt out. Rocket League has let you opt out as well (for the pre-existing PS4/PC cross). Very detailed post throughout, and it’s great to see Sony taking advantage of this. I think it’s only good for PS owners to be able to be a part of that larger ecosystem when games offer it. 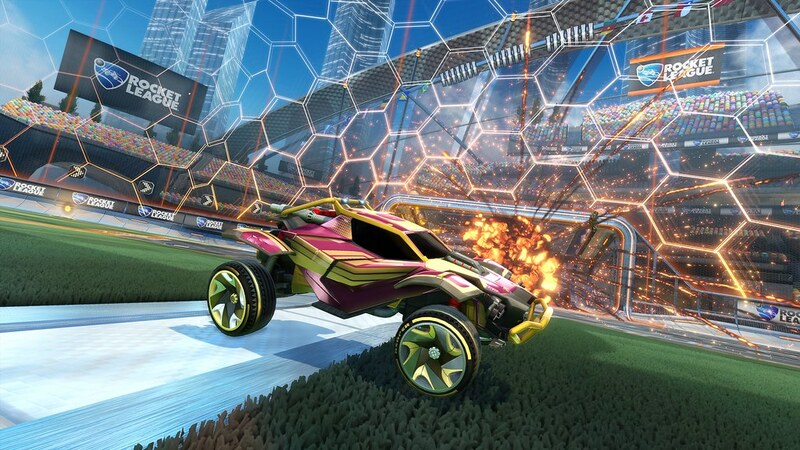 I’m sure Psyonix is thrilled too! Why not do this for literally EVERY SINGLE GAME?!?!?! jchill – It’s up for developers to program cross-play in, and often times that requires a special online infrastructure. It does seem as if Sony is starting to open up support for the games that DO (for example, I wouldn’t be surprised if Minecraft is the next addition). However, if you wanted Call of Duty to be cross-play for example, Activision and the developer of CoD that year must actively build that feature in. So it isn’t fully up to Sony. Would be nice if multiplayer didn’t require ps+. I understand having it for some games, but if the main (or only) appeal is online, it is frustrating that it’s required. Especially if you’re someone like me that doesn’t play online games often but doesn’t want to be ripped off by the monthly price. If fortnite doesn’t require it, you’d think other games would be able to not require it. The argument that it’s f2p doesn’t make any sense. If I paid for something like rocket league or black ops 4, having a required additional cost to enjoy it properly is frustrating. Especially when a game like Black ops scales back on its offline ability. I believe the general concept is, in order to effectively run and maintain a massive online infrastructure, Sony needs to monetize it. I would argue that’s what’s helped PSN’s stability (compared to the old days) and why XBL has been generally stable. If a game isn’t F2P, it may not have any, or as many microtransactions, or they aren’t as essential to game progress as F2Ps (although obviously this varies by game). So, Sony will opt to generate that revenue with the PS+ requirement fee. That’s my general sense on the business model. I know paying is always a bummer, but in a weird way I think it was a good thing. Imagine if Netflix was free, you wouldn’t have any of their good original IPs:and that’s what MAKES that platform good in the first place. That’s great. Now how about joining the rest of the class Minecraft? Right.. Honestly can’t believe I just read in the comments that Mic support won’t he a thing. How or why would I want to play Cross platform with my friend ( the whole point of cross platform ) if we can’t even talk to each other. Like honestly what is the point? I don’t blame Psyonix. This is what PlayStation should be implementing. Either via discord support or any cross platform party feature. Epic games I hear is going to implement a cross platform service. Why can’t PlayStation just add party chat and make cross platform smooth and keep their top position is the gaming food chain. Blows my mind the lack of foresight. Or just add Discord. I’d of bought so many more games digitally if I had Discord. Friends add longevity to games that nothing else can. I play Cod MW since it came out because of my friends.